It can seem hard to catch a private moment in this busy, challenging world. The art of gardening offers a simple but rewarding antidote to this modern dilemma. On Thanksgiving, I picked and cooked collard greens from my parents’ garden. That’s the pic of my process here! My mom and dad been backyard gardeners all my life but I’ve never participated in it. There was something life enhancing for me, a New York City girl, to pick my food from the earth with love and cook it for my family. I can’t wait until I have my own garden. It can be easy to take the natural beauty of the world for granted – flowers, plants, foliage – all of these things tend to blend into the atmosphere but it’s important to remember that people took the time to maintain and grow the flowers that everybody enjoys. It may seem like a subtle pleasure, but if natural foliage were to disappear, the world would suddenly look very dark and bland. Unfortunately, there are areas of the world – namely cities – where this kind of attention to natural detail has been neglected in place of a fast, no-nonsense way of life. This modern atmosphere permeates throughout society and can make people complacent to the wondrous beauty of growing life from seeds and cultivating it into something majestic. Gardening is a fantastic way to revitalize one’s inspiration with the world around one, as there is something particularly visceral about growing and monitoring a garden over time. It may seem like a slower pace compared to the other distractions of the modern world, but the subtlety is the key to this delicate art form. Many people go through different stages when considering gardening. Initially, there are the inexperienced who may believe that it is a simple manual labor task that holds no real rewarding outcome. 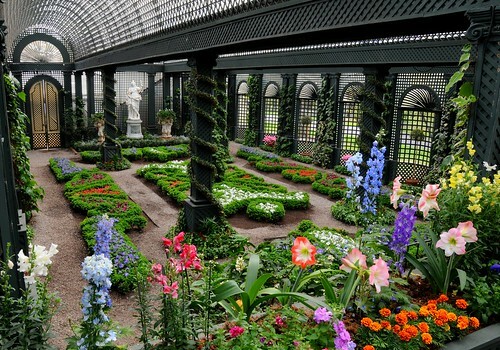 As these people delve further into it, they discover that it is indeed an art that must be mastered, and there are many elements that go into a well-maintained garden. Then, there is the person that starts by simply planting a few daffodils, but quickly becomes absorbed by the process and has already planned a whole theme and two-year plan for their blooming garden. Gardening is something that everybody can enjoy, it is an essential change of pace for the busy go-getter, and a stimulating art form for the easy-going senior citizen. The rewards involved are not always transparent, but they are limitless – for those willing to put the work in. The one thing that nearly every garden has is grass, and grass is often the one thing that takes up the majority of the space in a garden. It is the area where the family go to sit, relax and enjoy the other beautiful aspects of the garden. Therefore, it is important for beginners to recognize that the first part of caring for a garden is maintaining the grass. Maintaining grass is done in two main ways – cutting and growing. These two things may seem counter-productive, but they are not. Of course, it is essential to cut the grass to keep things neat and tidy, but it is also important to keep the quality of that grass fresh and vibrant – this is where lawn care chemicals come in. This is an area that requires a small bit of research and practice, and is often the one thing that captures the imagination of the potential green-thumbed pro. Thinking outside of the box is important. Just like any room in a house, the garden needs to be designed, planned and thought out. This will become obvious in time to anybody getting involved in gardening, but it is not a simple case of digging a hole and putting down some seeds. A well designed garden utilizes every space of the garden area and arranges the flowers and plants in a way that is truly satisfying. 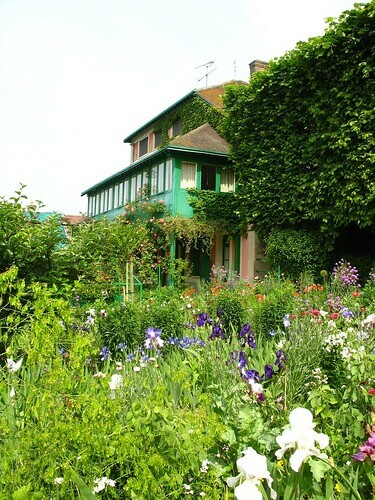 For example, one may consider the possibility of hanging baskets and window cases – both of these things offer new and unique gardening challenges, which will expand the technical ability of any gardener, as well as improve the diversity of the space being worked on. Summer is the most beautiful time of year for gardening, for obvious reasons. Flowers are blooming, vegetables are ripening, and the smells are intoxicating. However, as winter comes around it can feel as if things begin to stagnate. In terms of growth, this can be true (depending on the part of the world) but it is never a reason to neglect the garden. Taking care of a garden is a year-long challenge, and in the barren winter months that challenge is to keep things tidy. Remember that plants do not always die during the winter season, but they can if they are neglected under several feet of snow for 4 months. Every season brings a new challenge, so this is a hobby can be enjoyed by anybody, at any time. In a world where many are saturated with information, and a world where technology consumes so much time, it can seem difficult to find the time to enjoy the simpler, finer things in life. Arguably, a skill as subtle and unique as gardening is something that could benefit a person that has a hard time slowing down and relaxing. It requires a great deal of concentration and attention, but simultaneously is able to offer a relaxing atmosphere. Whether it be a row of prize-winning orchids, or the installation of simple garden furniture, that space behind the house is filled with rewarding potential. Guest post by the fab Kit Stone who revels in the natural life including hand made wooden furniture.